When it comes to custom-made, Australian furniture that is contemporary in its simplicity and just a little bit edgy in its execution, Green Cathedral is a brand you need to know about. Handmade in Noosa by artisan designer, Tim Scarce; each piece in their growing collection is made-to-order at a quality that is defining a new wave of furniture that will be passed on from generation to generation. The Keiko Cot is beautiful in its simplicity and innovative design. Made from solid oak, it is part of a very limited release with only 50 to be produced this year. Priced at $1495, each cot comes with a registered serial number so, like fine art, you will be one of a select few who gets to enjoy the exclusive rights to this design. The defining character of this cot is the painted feature on the inside of both ends. Shown here in black to suit a more masculine or industrial theme, you have the option to select a different colour of your choice from Green Cathedral’s range of standard colours. 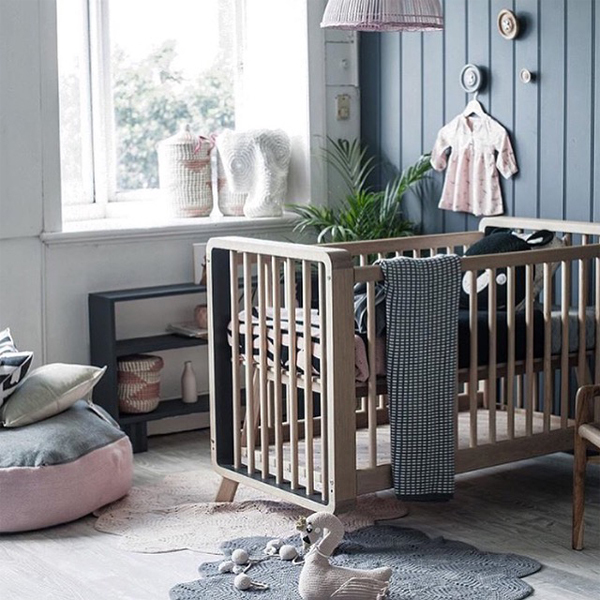 While it isn’t unique to have a cot that is multi-functional anymore, the way it has been done with the Keiko Cot, is quite dynamic; there are two separate sections including the wall frame and the cot platform insert. Simply remove the wall frame and the cot platform can be re-purposed into a daybed that no one will ever guess started out as a cot. A special custom-made mattress can be purchased separately in order to complete the transformation from cot to daybed. 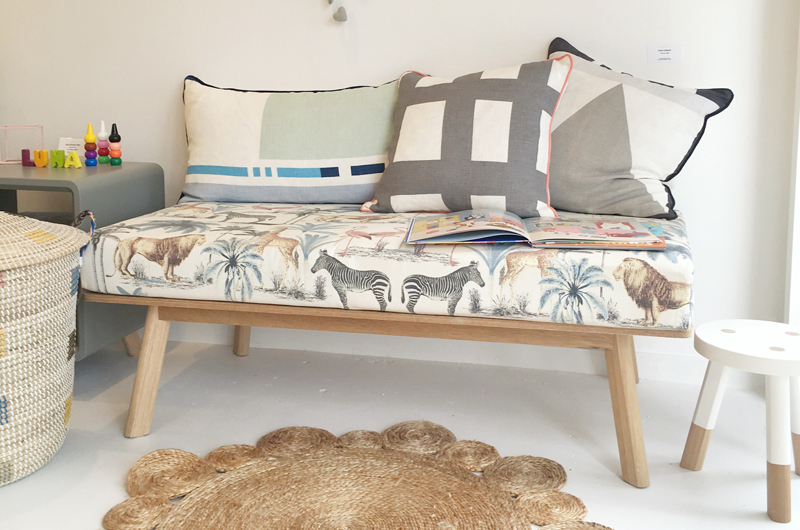 There are five different colours to choose from to suit the decor of the day bed’s location, but I love the zoology print pictured above. 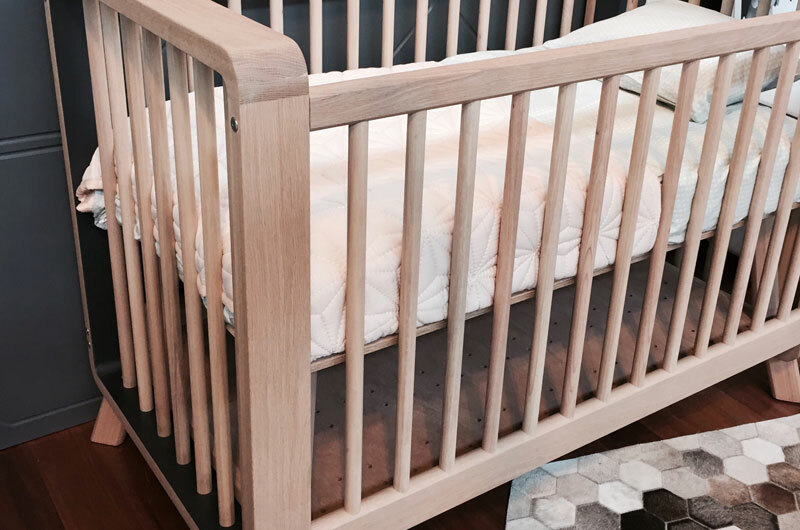 Buy the cot directly from Green Cathedral’s stockists including their own workshop in Noosa or the Green Cathedral Design Gallery in Melbourne. You can contact Green Cathedral to discuss the price of other shipping options within Australia.